Union leaders from across the Americas met to craft a worker rights agenda for inclusion in the UN Global Compact on Migration. Protecting the rights of migrant workers must be an essential component of the United Nations Global Compact on Safe, Regular and Orderly Migration, according to union leaders who met recently in Puerto Vallarta, Mexico, to craft a worker rights agenda for inclusion in the global compact, the first inter-governmentally negotiated agreement to comprehensively cover all dimensions of international migration. The December 1–2 meeting preceded a UN gathering to assess recommendations and discuss implementation of the global compact on migration. 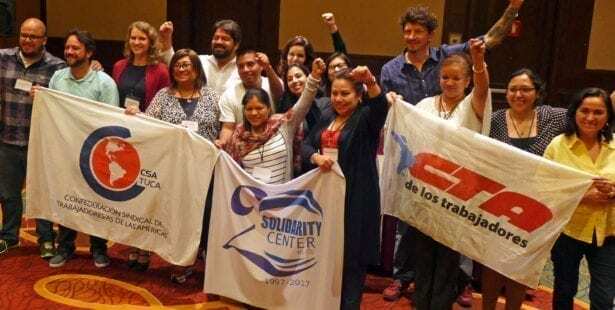 The 17 union leaders from across the Americas crafted a shared policy agenda and outlined plans to advocate within national and regional government bodies. 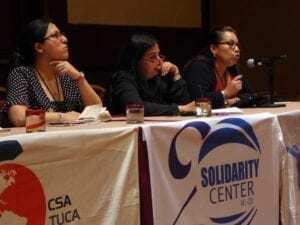 Elena Villafuerte, PRODESC; Neha Misra, Solidarity Center; and María Carmen Molina from CSTS in Mexico were among panelists presenting labor’s joint position on labor migration. In a panel presentation sharing labor’s joint position with UN participants, María del Carmen Molina, general secretary of the Confederation of Salvadoran Workers (CSTS), stressed the importance of protecting all workers’ rights, regardless of immigration status, and the responsibility of governments to ensure conditions so migration is by choice, not compulsion. Misra and Solidarity Center partners from the Central American Regional Union Committee on Migration (Comité Inter-Sindical), ProDESC and Centro de Derechos del Migrante in Mexico took part in the civil society meetings prior to the UN’s formal session, and presented their recommendations to the full UN meeting December 4–6. 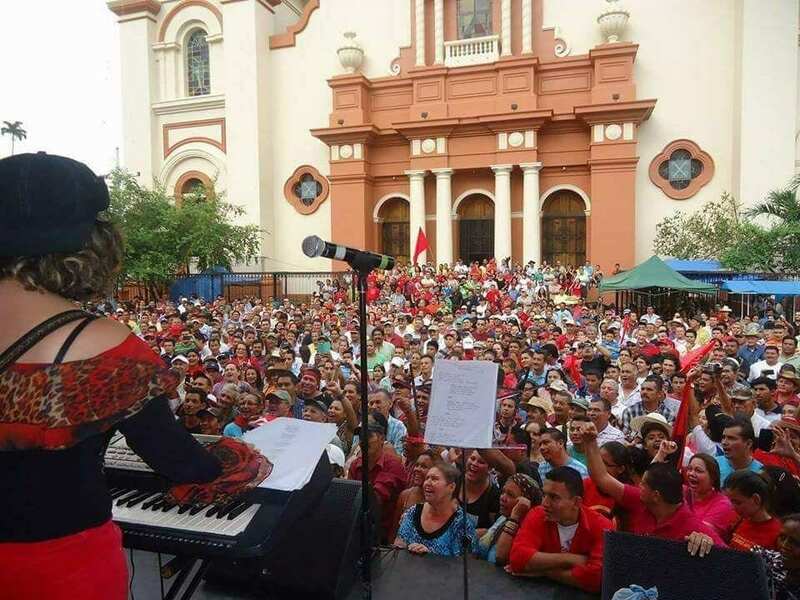 Union leaders also emphasized the need to ensure accessible pathways to regularization to ensure full rights for the world’s 150 million are migrant workers, and end the global expansion of abusive and exploitative labor migration programs. They agreed to take the issue of migrant worker rights back to their respective labor bodies to continue to educate and advocate on the issue. The UN process to develop the global compact for migration began in April 2017. The UN General Assembly will hold an intergovernmental conference on international migration in 2018 with a view to adopting the global compact. Following the UN meeting, participants issued a joint statement summarizing their suggestions for implementing the global compact.